Redeem your Johor Premium Outlets Savings Passport with the Klook app and be entitled to even more Klook exclusive rewards like a complimentary drink or F&B Meal Voucher when you shop at Johor Premium Outlets! 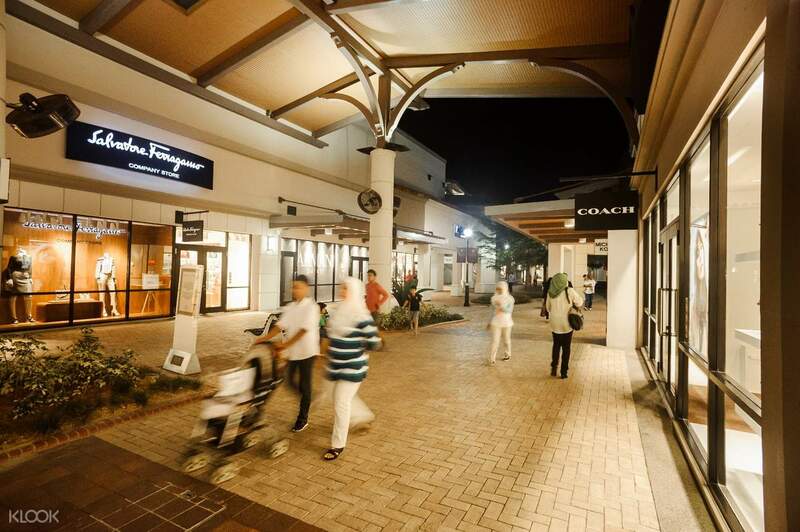 Pair your shopping trip at Johor Premium Outlets with a Klook exclusive Premium Outlets Savings Passport! Don't miss the opportunity of luxurious shopping with premium benefits. Redeem your Premium Outlets Savings Passport with the Klook app and enjoy privileges made for international travelers to ensure fast shopping transactions and pleasant experiences. Enjoy exclusive discounts from various designer brands such as Aigner, Bally, Coach, DKNY, Fossil, Hackett London, Michael Kors, Nike, Oroton, Tumi, and more! 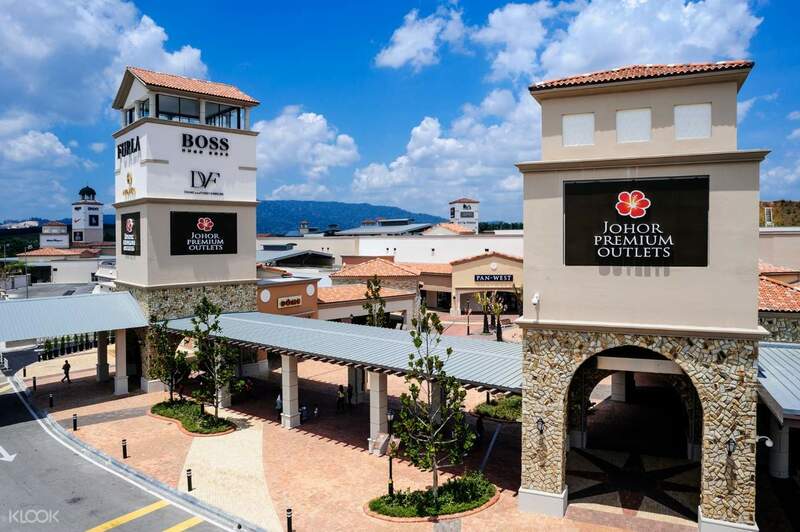 Buy more and pay less with your own Premium Outlets Savings Passport – shop at will and treat yourself with no limits at Johor Premium Outlets! Only 1 Savings Passport can be redeemed per voucher. Please make a separate booking if you need more Savings Passport, kindly be informed that one person / ID are only entitled for one Savings Passport. Recommended for those who wants to shop such as sporting goods like puma, adidas, nike, under armor, and converse. They usually have extra discounts for certain items. The food in nyonya rest also excellent. Recommended for those who wants to shop such as sporting goods like puma, adidas, nike, under armor, and converse. They usually have extra discounts for certain items. The food in nyonya rest also excellent. Very easy to redeem the voucher at information centre. All you need to do was shop till u reached the specified criteria to be eligible in exchanging for the F&B voucher. Very easy to redeem the voucher at information centre. All you need to do was shop till u reached the specified criteria to be eligible in exchanging for the F&B voucher. Thank you Klook for the free voucher, we used it for lunch at Nyonya, their laksa and nasi lemak are very delicious. Thank you Klook for the free voucher, we used it for lunch at Nyonya, their laksa and nasi lemak are very delicious. I managed to exchange for a two RM$10vouchers which I used it at Starbuck. I bought one Chocolate eClair and Smoke Chicken Cheezy Pie at RM22+. I paid the balance RM2+. I should have bought my stuff first and exchange the voucher to offset my late lunch meal at Soupe Tang. Overall, good deal. I have also signed up the for their passport which allows additional 10% saving on selected outlets purchases. I managed to exchange for a two RM$10vouchers which I used it at Starbuck. I bought one Chocolate eClair and Smoke Chicken Cheezy Pie at RM22+. I paid the balance RM2+. I should have bought my stuff first and exchange the voucher to offset my late lunch meal at Soupe Tang. Overall, good deal. I have also signed up the for their passport which allows additional 10% saving on selected outlets purchases.